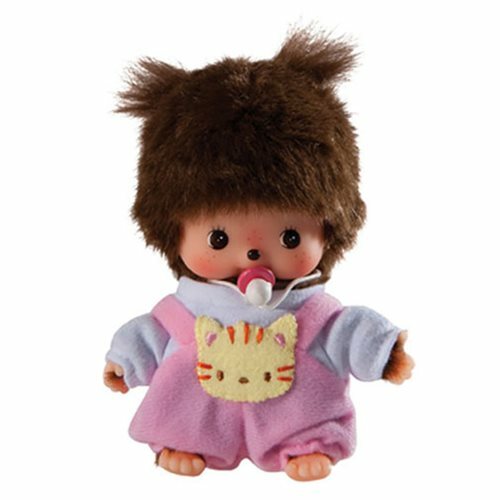 The Monchhichi Bebeichhichi Romper Girl Plush is dressed in an adorable pink romper with a kitty patch and pacifier. Measures about 6-inches tall. Ages 3 & up.